Facilitated by its 2016 acquisition of GeneDesign, CDMO Ajinomoto Bio-Pharma has opened a 21,500 square-foot plant in Japan to service the growing oligonucleotide demand. In December 2016, Japan’s Ajinomoto OmniChem acquired nucleic acid drug contract development and manufacturing organization (CDMO) GeneDesign for an undisclosed fee. Nearly two-and-a-half years on and the subsidiary has become absorbed into Ajinomoto’s Bio-Pharma Services division. “GeneDesign – now Ajinomoto Bio-Pharma Services Osaka – provides solid-phase technology for oligonucleotide synthesis capabilities from µg to 10 kg supply, which is great for smaller scale customer needs,” Aji Bio-Pharma spokesperson Kristi Gines told this publication. The capabilities fit together with Ajinomoto’s own tool for large scale oligonucleotide manufacturing ‘Ajiphase,’ she added. 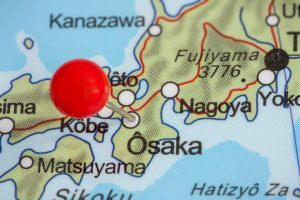 Almost concurrent to the absorption of GeneDesign, Aji Bio-Pharma has opened a 21,500 square-foot plant in Osaka, Japan expanding oligonucleotide synthesis and supply capabilities to up to 10 kg. “For almost 20 years, Aji Bio-Pharma Osaka has been synthesizing many types of oligos in small to middle scale (ug ~ 200 grs. ),” Gines said. Currently there is a shortage of oligo capacity, and with this investment the firm is now able to produce upwards of 10 Kg of oligos, something that will support the demand for synthesis. “The oligo market is drastically expanding and we have lots of inquiries from Japan, US and EU. In 2017, more than 350 oligos were under development in various phases for a range of indications,” Gines said. Sponsors rely on CDMOs to develop and make both clinical and commercial oligonucleotides. Only 18% of respondents to a recent KNect365 survey said all their manufacturing activity was done internally. “The Contract Services database from PharmSource – a GlobalData product – shows some industry outsourcing of oligonucleotide manufacture,” Fiona Barry, editor at GlobalData’s PharmSource, told this publication last year. Biogen/Ionis, for example, uses Patheon (now owned by Thermo Fisher), Vetter and PCI Pharma for the manufacture of its approved oligo Sprinraza’s (nusinersen). “On the clinical side, WuXi AppTec’s API manufacturing subsidiary, STA Pharmaceutical, announced [last year] it will produce supplies of unnamed oligonucleotides for clinical trials by Regulus Therapeutics.” Supply will come from STA’s newly opened site in Changzhou, China. There has also been recent investment in oligonucleotide manufacturing capabilities through CordenPharma’s expansion of its API facility in Boulder, Colorado, and in 2016 Agilent constructed a $120 million in Weld County, Colorado to more than double its commercial manufacturing capacity for nucleic acid active pharmaceutical ingredients.